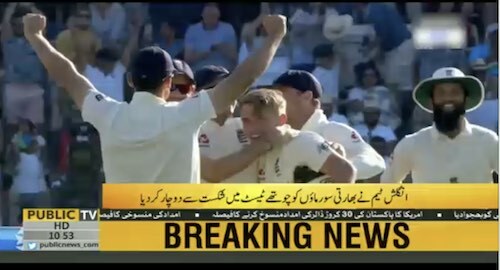 Southampton — England bowled India out for 184 on Sunday to win the fourth Test by 60 runs and wrap up the series with a match to spare. A gritty 101-run partnership between Virat Kohli and Ajinkya Rahane had raised India’s hopes after they lost three wickets in their chase of 245 for victory. But when captain Kohli was dismissed for a fighting 58 by Moeen Ali just before tea, India’s resistance crumbled and they lost their last six wickets for 51 runs.